Each year for the past 3 years now, I've been hosting annual holiday cookie exchanges. Each year has been more fun than the past and this year was no exception. I hosted this year's party in our building's party suite, which had ample room and offered some great city and lake views. For drinks, I set up a station of hot cocoa, vanilla cappuccino, coffee, and two fruit punches (pineapple punch & strawberry banana punch). 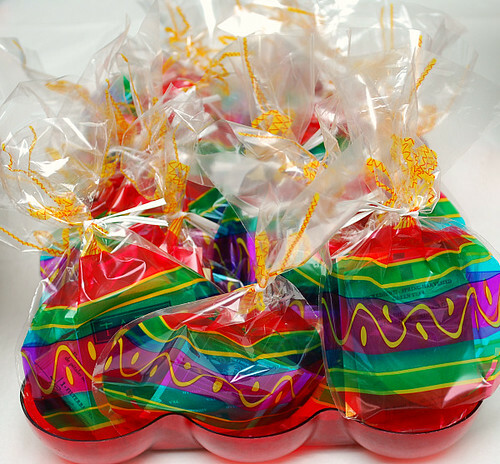 I also included a variety of condiments such as candy canes, mini marshmallows, flavored syrups and caramel. Here are the awesome cookies that graced our table. Be sure to check back this week for the recipes which I'll be posting to share! Wow!! That looks like one party everyone can enjoy! Great job. Looks like you had a wonderful time! Thanks for some great inspiration! Wow! That's an amazing array of cookies! I never thought of organizing neighbors to do a cookie swap (we've just done it at work before), but it's a great idea! the chocolate marshmallow surprise cookies looks like something i would love to make. i hope that you have the recipe for that. What a terrific spread! Looks like a perfect way to kick off the holidays. That is one fabulous cookie (coffee/tea) exchange! I can't wait to see some of those appetizer recipes. What a great idea! And those appetizers look so good! I'm eager to try the spinach and cheese phylo treats! Please! Please! get all the recipes up quick! They all look so good, I want to get started! Joelen oh how i would so love to be a part of ur cookie exchange-i'd come in with loads of cookie too and help u with the appetizer too!!! !